Maritime repair and fabrication facility Asry has appointed Sahar Ataei as the new chief financial officer of the shipyard. In her new role, she will oversee the human resources, financial and IT divisions. 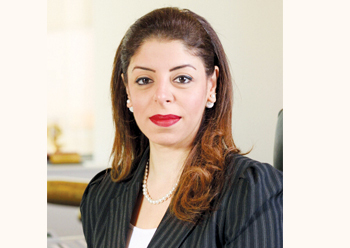 She joins the company after 19 years with Bahrain’s national airline Gulf Air, most recently as the CFO, said the company. “Ataei appreciates our mission to ensure sustainable shareholder returns while remaining a national employer of choice, and we look forward to her valuable contribution to our development,” he noted. Ataei has more than 20 years’ experience in the Bahrain financial industry. She was most recently chief financial officer of Gulf Air, having served a variety of financial and auditing roles in the airline over 19 years.